Block Electric supports many charitable organizations through funding into the Block Family Foundation. The Block Family Foundation was established in 1991. Since inception, the Foundation has made charitable contributions of $2,500,000 to a many worthy charitable organizations. Block Electric is committed to the success and achievements of the people who make up our company. We are also interested in promoting the achievements of the next generations of individuals. In order to help accomplish this, we offer a partial scholarship program to our people for their children who are interested in attending college. The funding is made through Block Electric Co., Inc.
We are proud to say that over the years we have raised in excess of $250,000 for these scholarships. *Family members of owners and officers are prohibited from receiving scholarships. Since 2011, Block Electric has joined forces to fight cancer at The Walk & Roll event in Chicago. 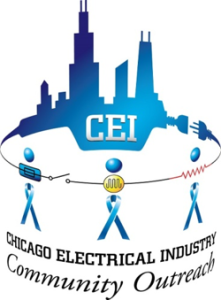 We are proud to be a part of the many Electrical Contractors to be a part of the Chicago Electrical Industry sponsorship at this event. Each year our team’s participation supports the American Cancer Society, the leader in the fight to end cancer. The donations our team raises will enable investments in groundbreaking cancer research and free information and services for people facing cancer. For more than a century, the American Cancer Society has led the way in the fight to end cancer – and we are excited to be part of their team. Since 2011, we have raised more than $84,000 in donations. Since 1920, we have been one of Chicagoland and Northeastern Illinois' highest-rated electrical contracting companies.